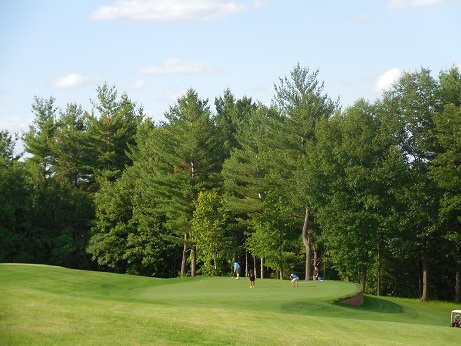 In 2015 - Trees to the right of the #3 Red/Gold Tee Box were cut a distance back. This clears the way for the Blue & White tee shots. This will likely result in healthier grass on the Red/Gold Tee Box too. Drainage lines were improved on a few tee boxes, Large tree on the left of #1 fairway dogleg near #8 green was cut back so as to make a clear shot down the fairway if your shot is a little left. Result will be fewer lost balls and play should speed up. On #18 Gold Tee Box area we removed a tree that was in the way for a better shot down the fairway. Only one, we have to protect golfers on #10 fairway. Brushog clearing work was done between #18 White Tee Box and the fairway. Hopefully this will help a bit to provide a clearer view of the fairway. 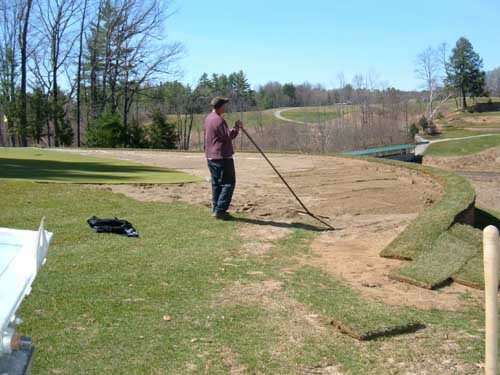 In 2014 The grounds crew finished the season with some rebuilding of the #10 green where members were saying their ball would get caught and putting from there was difficult. They also finished the new #14 Men�s tee box. 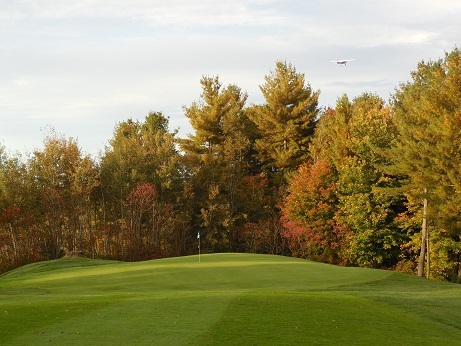 In 2013 In the fall a new Red/Gold Tee Box was built on #13 to offer a better view down the fairway. Construction begin on the new #14 Men's tee box. 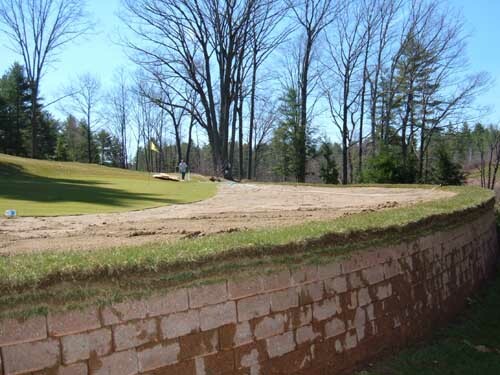 New in 2005:A Tee Box has been built for new red and gold tees on #8 close to the tip of the fairway. A new tee box was also built for the red tees on #11 shortening this hole to 90 yards from the reds. New cart paths have been built for #1 and #3 making the paths less steep. Construction of a new cart path on #18 down to the bridge is slated to be finished in the spring of 2006. 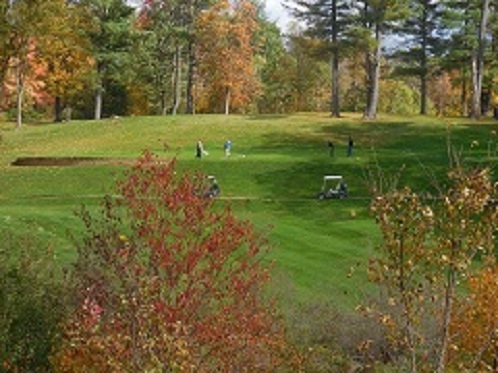 Airway Meadows G.C. 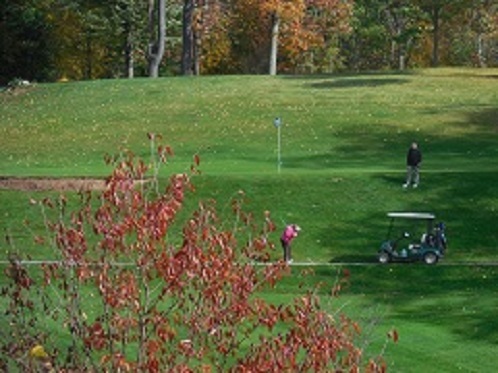 is constantly improving conditions and layout of our Upstate New York golf course. Opened in 1999, it will never really be "done". There is always a new idea to speed play or to assist golfers to have a smooth favorable round of golf. Annually, course improvements will be updated here. May 15, 2005 Airway Meadows Golf Course announces that the newly expanded #11 Green area is scheduled to open by the end of May. Over 1,000 square feet has been added to the green along with a new drainage system. Golfer feed back to date has been excellent. No temporary greens were used during the project. The original green has been in use the entire time. This new raised tee box was opened for use in late fall of 2004. A brush clearing project began in 2004 and plans are to complete it in 2005. This will help the golfer find their ball if hit to the right of #10 Green and therefore increase pace of play. 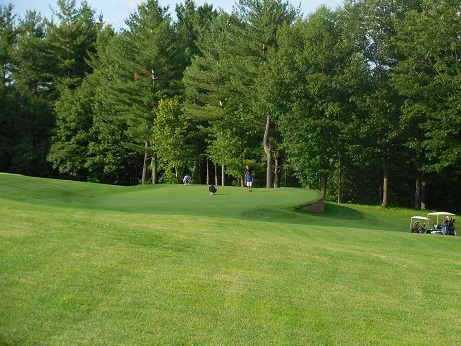 The #10 Green is performing nicely since it was improved in fall of 2003 and in use in spring 2004. #10 green 2015 performing nicely after more improvements in 2014. "What a difference these improvements have made for your golf game! Airway Meadows is a much difference course than it was when we opened our doors in 1999."